->should be able to operate a computer and its basic functions. 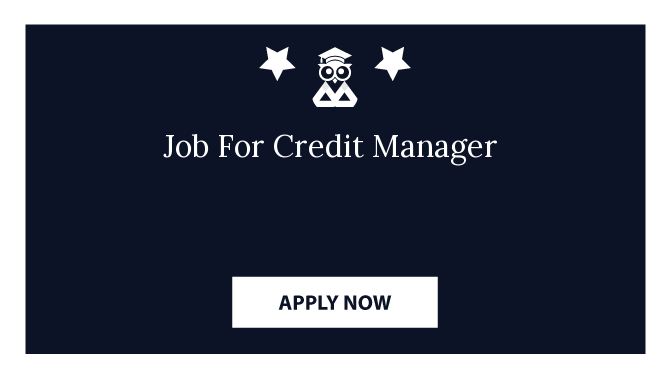 ->Manage credit department while maximizing sales & minimizing losses, including meeting Collection. ->Manage relations with collection agencies, credit reporting agencies, credit insurance agencies. ->Manage relations with the sales department. ->Maintain corporate credit policy and recommend changes to senior management when necessary. ->Report account receivable aging status in a timely manner to senior management and sales management, including monthly and quarterly reports. ->Provide support for month-end close, including evening remote availability. ->This position will drive for company business. ->Other duties may be assigned. ->Credit manager has to manage the flow of incoming funds and has to regulate the flow by filtering the credit days. ->Has to have regular follow up of the market outstanding to the sales managers and the sales team.